Experts say the cost savings of a multitrillion-dollar driverless truck industry will be unstoppable. 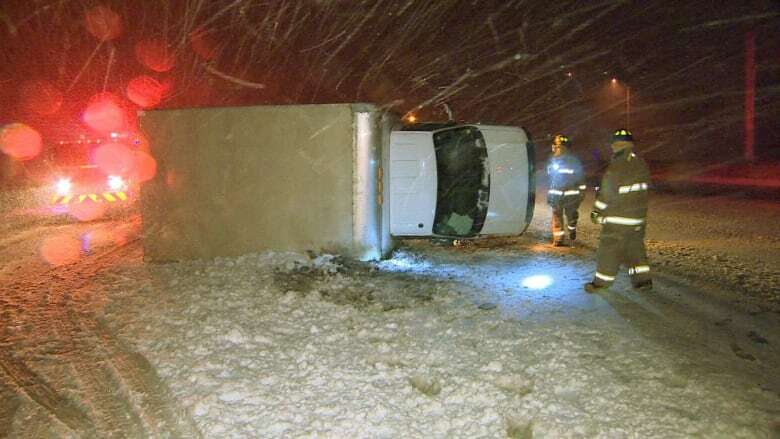 And Canadian winter road conditions will be no barrier. At last week's rollout of Tesla's electric truck, it was the battery that got most of the attention. That and the new Tesla Roadster that CEO Elon Musk says will be the fastest commercially produced car on earth. "It will be faster than that jet over there," Musk quipped, gesturing at a passing aircraft. But according to some experts, while most of the world focused on the jet-fast car and the fact that both car and truck run exclusively on electricity, a far more consequential feature was buried deep in the vehicles' electronics. Among its many goals, Tesla is one of the companies on the verge of creating a vehicle that can drive itself, in traffic, on public roads, without a human inside. 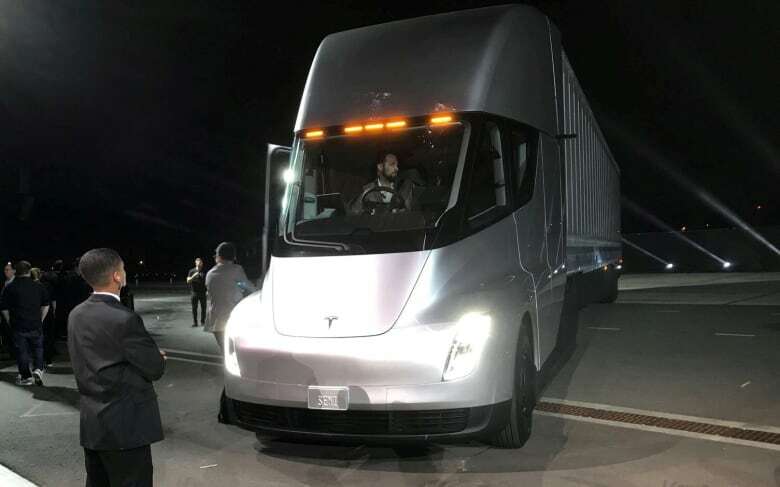 Things are moving fast, and according to experts who study the potential fallout of driverless trucking on the economy, the imminent arrival of autonomous commercial vehicles on Canadian roads will entirely eclipse the impact of electric-powered trucks. They say autonomous trucks will change our lives, and most Canadians just aren't prepared. "The impacts of this technology will be profound," said Paul Godsmark, chief technology officer at the Canadian Automated Vehicle Centre of Excellence, a non-profit consultancy. A California company called Peloton Technologies is already running trucks equipped with a semi-autonomous platooning system that synchronizes the speed and braking of two or more trucks travelling together. This allows the trailing trucks to safely tailgate and increase their fuel efficiency by decreasing wind resistance. 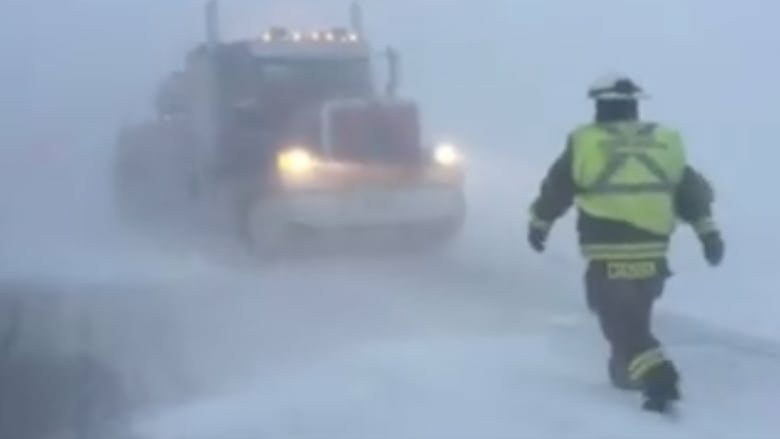 Trucks that don't need a driver at all are on the road south of the border, too, but so far they have a human behind the wheel in case of equipment failure. But that could soon change, with trucks potentially driving solo on U.S. roads as early as the end of next year, Godsmark says. The economic pressure to get a piece of what experts say will be a multitrillion-dollar industry — five times bigger than the smartphone business — has led to vicious competition to get the first fully autonomous trucks on the road. The financial incentives will be irresistible. Between running a vehicle without a human and running it more hours a day, going autonomous will double efficiency in the thin-margin trucking business. Once the technology is proven to work, Godsmark says, it will work on any vehicle big or small. Godsmark points to a watershed moment earlier this month that got much less attention than the Tesla rollout. 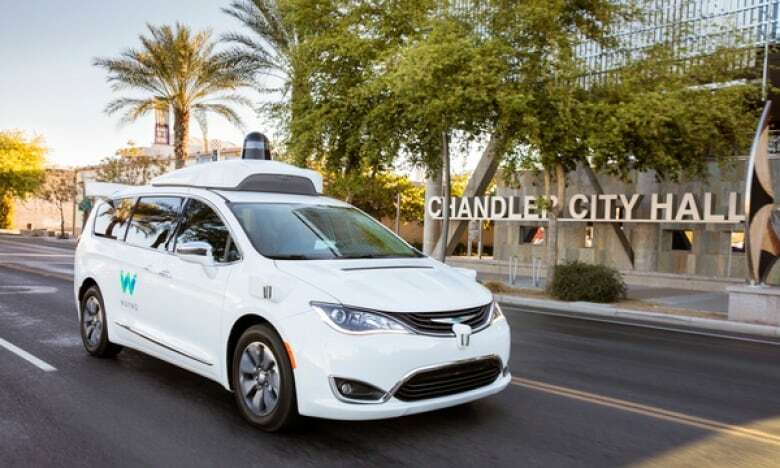 Google sibling Waymo set loose several automated vehicles "in the wild," as he says, in traffic on the public roads of Phoenix, Ariz., without a driver behind the wheel ready to take over. The driverless cars are simply so safe that "safety drivers" have become useless, Godsmark says. The latest published figures, now likely out of date, show humans need to intervene behind the wheel of an autonomous vehicle every 8,000 kilometres. "As the safety driver," he says, "can you imagine driving around for two weeks and then suddenly in a two-second period you have to act, instantly?" He says there really is no alternative to the AI computers being entirely in charge. A study this month from the RAND Corporation, a California-based think-tank, says introducing autonomous vehicles sooner rather than later, even before self-driving trucks are perfected, could save thousands of lives each year. "Our work suggests that it is sensible to allow autonomous vehicles on America's roads when they are judged to be just moderately safer than having a person behind the wheel," said RAND's Nidhi Kalra. She says waiting longer will kill thousands of people unnecessarily. After each crash, the entire fleet would have its software adjusted, gradually perfecting the safety of robot vehicles. The complication is that crashes would continue to happen. "Will we accept the fact that robots are killing people rather than people killing people?" Godsmark asks. That's just one of the complications robot trucks will face. According to Statistics Canada, truck driving provides nearly two per cent of all Canadian jobs, more than three per cent of jobs for men. There is still a shortage of drivers, but as autonomous trucks flood into the market, demand for those workers will plunge. Canada could make laws to keep autonomous trucks out, but Godsmark says once they are operating in the U.S. it's hard to imagine lawmakers here doing that. "I'm in Alberta and we get most of our fruit and vegetables from California. Can you imagine an autonomous truck comes all the way up to the border and then at the border we insist a human drives it from there," he said. "Is that what we want?" But when it comes to safety, even under Canadian road conditions, he says there is no question that robot trucks will kill fewer people. "From what I've seen, sensors are already capable of seeing better in snow conditions, in fog, in rain, better than a human," he said. But their biggest safety advantage over humans, he says, is that autonomous vehicles will be programmed to park and wait when conditions are in danger of becoming unsafe. "Humans have a habit of driving beyond our ability to do it safely."